Within the large constituency dependent on GAA club fixtures, Cork caught the lion's share of attention in recent days. If the county's most eye-catching proposal - to play a limited amount of club championship games without county players - was designed to attract notice then it proved a master stroke. That move did not succeed, but it did manage to earn widespread interest and paint a faintly apocalyptic vision of what might be coming down the road. As it happened, the failed proposal still managed nearly a quarter of the vote, an authentic protest that showed exasperation on the ground is real. This weekend has seen the start of the Cork championships in a month designated club-only as a concession to club players often poorly served by the parent association and its infinite committees. During a meeting to decide on the club proposals on Tuesday, a question was asked about an early Cork exit in the championship possibly facilitating earlier club games, in a deviation from the schedule, but this was ruled out. The next rounds have been fixed for August and the months of May, June and July - irrespective of how Cork go - will not see any domestic championship action. This is because the board and club delegates recognise that what players need most of all, even if the break in summer remains unsatisfactory, is a definite set of dates. They have also restructured their senior championships by reducing the number of entrants from 19 to 12, which many feel was long overdue. Watching with interest was the Club Players' Association (CPA), which is engaged in ongoing talks with the GAA to achieve a better long-term solution that will reduce long gaps and uncertainty in club fixture programmes. At a time when club players were already being pushed out to the fringes and greatly inconvenienced by inter-county priorities, the GAA introduced the Super 8, which sounded elitist for a start, and then, in a kneejerk reaction, brought in a much more jam-packed hurling championship with more games - not fewer. So, Cork, and the idea of looking beyond the county players, came as "no surprise" to Micheál Briody, the CPA chairman. "I think they have a very good committee down there in Cork and they came up with three options - none of them Utopian," he says. "You can't have an ideal solution based on how limiting the inter-county calendar is on the club game. But they came up with the three options. "The third one, Option C - it was the first time it was debated - that you would play a county championship game without your county player . . . but the fact that it was highlighted as an option really shows how severe the crisis is. "You are talking of really learned men coming up with those solutions. I think it is a wake-up call for the GAA. It further reinforces what needs to be done. Because another county, maybe a weaker county, will adopt this in a year's time and come up with a proposal and they'll say, 'Do you know what? Let's go and play our club championship throughout the summer - feck, the county team, because we are not going to win the All-Ireland'." And that would be the beginning of the end of the GAA as we know it, a widening of the gap that already exists between club and county. Briody is waiting to see what emerges in the shape of a committee which has been approved by the GAA to be established and come up with solutions to the fixtures crisis. The CPA will be represented on this and the intention is to eventually produce motions for Congress next year with a view to implementing reforms by the following year. It is believed that the CPA is enjoying better reactions with the current GAA president John Horan than the past one Aogán ó Fearghail, despite comments made by Horan at Congress this year which brought a response from Briody. Horan suggested that the CPA should deliver more detailed proposals of its blueprint for a changed fixture landscape, when Briody made it clear it already had. But he says that this has since been cleared up. The CPA wants the committee that emerges to have an independent chairman and for everything to be looked at afresh - a so-called blank-canvas approach. "Everything has to be on the table," says Briody. "If we enter this process and they say the All-Ireland final has to be on the first of September, the O'Byrne Cup has to be played, and we are not touching hurling, well then you are wasting your time." He says he believes that this is achievable as a starting point before the different parties get into the nitty-gritty but that "if there was any element of sham, that is not going to work, and we don't want to be any part of it". For now he is putting a positive spin on discussions that have been taking place. "I have worked two-and-a-half years at it. I am businessman, I am not sure I could tolerate the rate of change that I have witnessed in my time in the CPA in my business life. "I know I couldn't because I am generally an impatient man. But I see a process and I appreciate a lot of things have to come together. If you want anything significant changed you have to give it a bit of time." The GAA isn't blind to the issues but finding a solution that is satisfactory, and sufficiently sweeping for the CPA and those they represent is a substantial challenge. "There is a definite recognition within Croke Park that it is a serious problem, and I would applaud (director-general) Tom Ryan," states Briody. "We would be very like-minded in what we are trying to achieve, we may have different ways in how to do it. I do see the mechanisms in the GAA with Congress and 'democracy' and the things you have to go through have to be respected. But other than that, they do recognise that it is an issue. Maybe they don't entirely agree with the blank-canvas approach." Briody doesn't feel the gap between what the CPA wants and the GAA can give is too wide. And despite clear tensions in the last two years, he says the relationship is now more mature. "I do trust them. I feel there's progress made. We have to show a leap of faith. We know we can't change it on our own. It has to come from the top, the only change you are going to get in the GAA has to come from the top, with the support of the Management Committee. If you are going to go against the grain or against them, there is too much of the vote at Congress that pulls with them. That is nigh-on impossible. "The mindset in the GAA that needs to be changed is that each individual county board shouldn't be given as much authority - they need more direction centrally for everything to work. You have this idea that it is up to every county board to enforce fixtures policy. That's not good enough. "You need central rule and all 32 counties abide by it. And stick to the rule. That is the way it's done in any other sporting organisations. You don't see Arsenal doing one thing, and Liverpool another. So we need more central governance on that. And it's difficult, it's not easy." Not all share Briody's optimism that the GAA will play ball. Or play it to the CPA's liking. Even the removal of deadwood competitions that serve as pre-league preparation is not going to be an easy proposition for an association inclined towards sentimentality and constrained by regional politics. 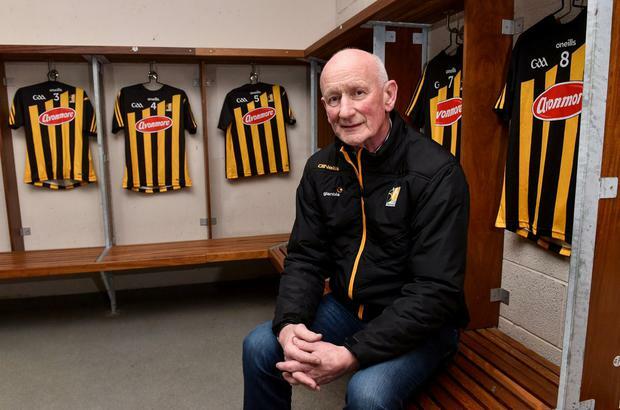 But high-profile interventions like that of Brian Cody have helped turn up the heat. For all he has achieved at county level, Cody, and his county traditionally, has demonstrated an earnest interest and concern around club welfare. Kilkenny's championship starts this weekend. They will have two rounds in April, and fit one in during May on the Tuesday after the county plays Carlow in the Leinster round-robin. That will be it then until August but most counties won't be having championship matches in May. Nor are most county managers as club-conscious as Cody. "I think his comments struck a chord because he doesn't normally speak out on these things," says Briody of remarks made by Cody last year in this paper. "He said they were not playing on the pitches in Kilkenny during the best summer (2018) we had for a long time." And the impact is related in an ESRI report from 2013 showing a drop-off rate of 75 per cent in GAA players from the ages of 19 to 24. The situation, Briody hazards a guess, has not improved since then because of the poor record counties have for reliable fixtures programmes, leaving players unsure and unable to plan their lives around the games. Eventually, there has to be a tipping point - even for the most loyal. "What is not documented enough is the drop-off in numbers," says Briody. "Your club player doesn't put it up on Twitter: 'That's it, I've had enough of it. I am giving it up'. He just doesn't come down training on the Tuesday. There is no big hullabaloo. And that disenchantment, we would see it from members' correspondence regularly, number one to tell us to keep going, keep at it, keep plugging for the club player, but then explaining to us their different circumstances. That it's not on." Last November a motion from Roscommon for national fixture reform was rejected by Central Council. Tommy Kenoy, proposing the motion, spoke of soccer filling the void left by the GAA in the summer. Briody speaks of better relations now and a clear understanding by the GAA that it has to act. "It would be documented from the previous Congress that people stood up and spoke about the CPA, spoke about witch-hunts, and I think nobody has ever questioned our motives, the reason we are doing this. Obviously in every walk of life if someone comes out and says there is a better way of doing it, people who are in there doing that for their day job, they get offended. "We don't want to fall out with anyone over that. We are not looking for money. We are two years up and running and we still haven't spent a penny. We don't have a bank account. And we are not looking for recognition. "I don't want to be the next county board chairman, provincial chairman, etc. When this is done and dusted I will fold the tent of the CPA and walk away. "It is the GAA's responsibility to look after club players. We are a lobby group collectively shouting that bit louder than any individual club can do. In the last two-and-a-half years we haven't succeeded in getting massive change but we are getting there." Independent.ie Sportsdesk Shane Meehan scored five points and set up Eoin Talty for the game's only goal as Clare emerged as worthy winners at Cusack Park.